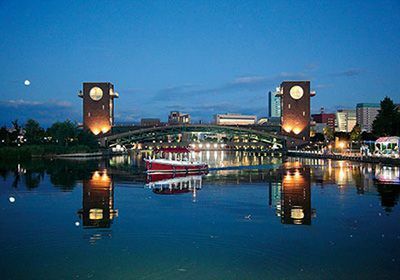 Central Toyama City - Tourist Information | TOYAMA CHIHOU TETSUDOU INC.
Once a castle town, Toyama has developed into a modern city crisscrossed by rivers and canals. 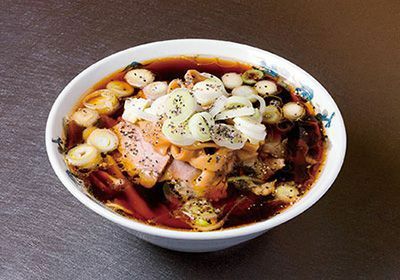 There are many places catering to tourists and shoppers in downtown Toyama, and visitors can partake of local cuisine that includes trout sushi and black ramen. North of the train station is Shinsui Park, which was built partially from a former dock. 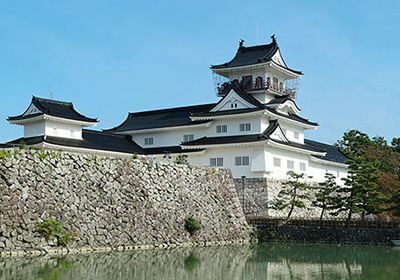 The castle tower has been opened up as a museum for Toyama culture, with visitors able to see displays of ancient documents, arts and crafts, and more related to the Toyama Domain. The park has beautiful flowers and plants that change with the seasons and is a pleasant place for a stroll. ■ Get off at Kokusai-kaigijo-mae tram stop, then a 2-minute walk. 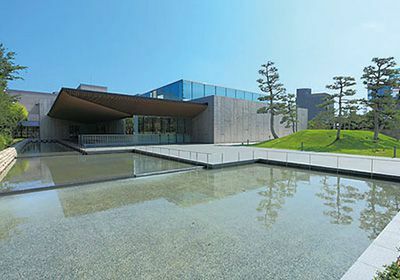 An art museum located inside Toyama Kirari in Nishicho. Many pieces of modern glass art are on display in a beautiful space that makes liberal use of wood and glass. Also houses a library, café, and more. 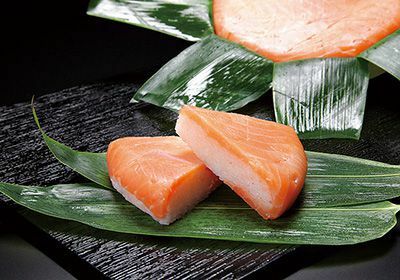 Toyama is famous for its trout sushi, and many trout sushi restaurants can be found along the Old Hokuriku Highway next to the Matsukawa River. A fun thing to do is buy different types at different restaurants and compare the flavors. 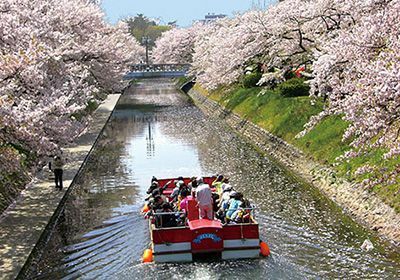 Travelers can see the sights of the Matsukawa River bank on the Matsukama Pleasure Cruise as it runs along the base of Toyama Castle. Every season has different sights to enjoy--see a tunnel filled with cherry blossoms in full bloom in the spring, autumn leaves in the fall, and snow in the winter. Local ramen with thick wrinkled noodles in a soy sauce soup so black you cannot see the hearty stock of sliced pork within. A deep richness and ample volume that combine for an addicting taste. This park for water lovers is built around a dock in a canal that connects Toyama with Iwase. 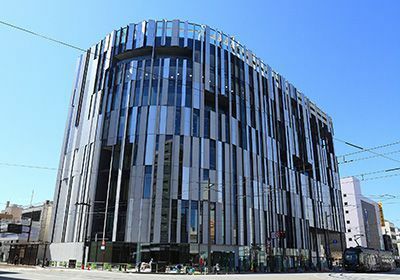 A fine place to relax, visitors have access to 20 m tall Tenmonbashi bridge as well as a grassy slope and café, among other features. 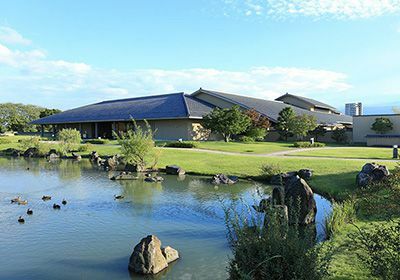 A cultural facility showcasing artists from Toyama and their captivating works. Museum visitors will enjoy picture books, movies, anime, and other media in addition to the works of literature. A beautiful Japanese garden and restaurant are also popular draws. Houses works of art unique to Japanese culture, including handicrafts, calligraphy works, and photographs, in addition to ink paintings. This art museum provides a tranquil space and beautiful garden, teahouse, and other features to allow a slow-paced, relaxing visit. A 25-minute tram ride away. 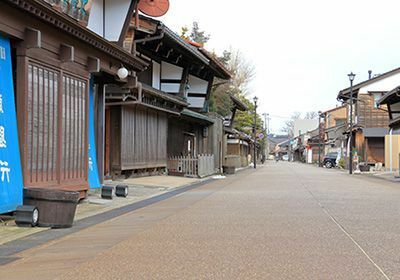 Iwase retains a unique and vibrant historical culture as a port of call along the Kitamaebune route. There are many things to see, from shipping agents to observation decks to restaurants.